And politicians should stop dishing out the pork. The U.S. Department of Agriculture forecasts that spending for federal farm-commodity programs will increase eightfold from 2015 to 2017. Since the 1930s, Congress has rarely missed a chance to shower rural America with more subsidies. With farmers in every state, farm-budget discipline can only come from the White House, but President Barack Obama rarely resisted unjustified handouts for wealthy landowners. The names of subsidy programs are changed every decade or two to support the illusions of reform. The 1996 Freedom to Farm Act replaced longstanding subsidy programs with payments that supposedly would ease a transition to reliance on markets. The handouts to help the transition were three times larger than what farmers would have received under the old programs. Giving direct payments to farmers became unpopular in the 21st century, so the five-year farm bill of 2014 replaced the transition with new, heavily subsidized programs purportedly providing insurance against price declines and other adverse facts of life. As Scott Faber of the Environmental Working Group observed, “We’re replacing a discredited subsidy with a soon-to-be discredited subsidy.” An EWG analysis found that the new program could give farmers in some Midwest states up to eight times as much per acre as under the previous program. The farm bill that Obama signed in 2014 is already far more expensive than the administration and Congress promised. The Congressional Budget Office estimated that the insurance outlays between now and 2018 will cost $20 billion—70% more than predicted in 2014. Subsidies now account for 25% of net farm income. 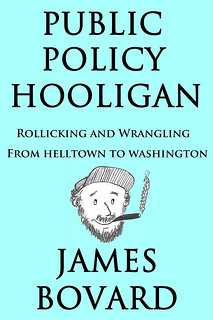 Obama merely perpetuated farm policies that began long before he was born. The USDA perennially hoists the U.S. price of sugar to double or triple the world sugar price, costing consumers $3 billion a year. Despite the aid, the number of sugar growers has declined by almost 50% in recent decades to fewer than 6,000. Food manufacturers that use sugar are held hostage to a byzantine combination of price supports and arbitrary import restrictions that make producing candy far more expensive here than abroad. Since 1997, sugar policy has zapped more than 120,000 jobs in food manufacturing, according to a study by Agralytica, an economic consulting firm. Peanuts are another example of mindless Washington, D.C., meddling. When the U.S. peanut program was launched in the 1930s, the federal government gave favored farmers licenses to grow peanuts, and outlawed anyone else from planting the legumes. Congress ended the peanut-licensing scheme in 2002 with a $4 billion buyout of the licenses. Instead of admitting that there was no more justification for subsidizing peanuts than cashews or pecans, Congress created a new program: The 2014 farm bill guaranteed peanut farmers prices much higher than have prevailed for most of this century. No surprises here: Farmers boosted peanut production by more than 20% last year, and market prices plunged. The cost of peanut subsidies is predicted to rise tenfold between 2015 and next year, reaching $870 million—approaching the farm value of all the peanuts grown in the U.S. The USDA expects to spend up to $50 million a year to store and handle surplus peanuts. Chief Justice John Roberts, the author of an 8-to-1 ruling against the administration last year, scoffed, “ ‘Let them sell wine’ is probably not much more comforting to the raisin growers than similar retorts have been to others throughout history.” The Justice Department also claimed that there was no “takings” because farmers only lost raisins— not real property (such as land). Chief Justice Roberts retorted, “Raisins are private property, the fruit of the growers’ labor, not public things subject to the absolute control of the state. Any physical taking of them for public use must be accompanied by just compensation.” Obama’s attempt to annul constitutional protection for the vast majority of property in the nation should have been far more controversial. Ethanol is the focus of Obama’s most destructive farm policy. Some 40% of the corn crop is now devoted to ethanol, thanks to federal mandates that helped quadruple the price of corn between 2005 and 2011. Even though ethanol boosts smog, damages gasoline engines, and raises the price of meat by raising the price of corn for animal feed, the Obama administration wants to force people to use even more of it. The Center for Responsive Politics tallied more than $45 million in federal campaign contributions by agricultural interests during the Obama administration, to say nothing of some $250 million in reported lobbying expenses. Congressmen repay these favors by providing a license to pilfer consumers at grocery checkouts. The Obama era provides fresh proof that politicians are unfit to manage agriculture. The only way to fix farm programs is to abolish them. Otherwise, it is only a matter of time until farm-state members of Congress launch another raid on the Treasury. JAMES BOVARD is the author of Attention Deficit Democracy, Lost Rights, and eight other books. Great article! That last one is a doozy. The Renewable Fuel Standard of 2007 that mandates the use of ethanol and biofuels enjoys support from politicians of both parties largely because of Iowa: it’s both the principal source of ethanol and the first big nomination stop on the presidential campaign trail. As you note, biofuels have several inherent problems: They are inefficient — literally burning 40% of our corn crop generates only 31% of our energy needs. Biofuels are expensive — in order to reduce the cost of the Navy’s “Great Green Fleet” fuel needs to within reason, for example, the administration simply employed sleight-of-hand by offloading biofuel subsidies and additional costs from the DOD to the USDA. Finally, biofuels generate more pollution — especially a bigger “carbon footprint,” if you accept the argument that CO2, which comprises only 0.04% of our atmosphere, is a serious pollutant. That last item results in sublime political circus: politicians, especially those on the left side of the aisle, must genuflect before the green altar of environmentalism and lecture us all to take fewer baths and lower our carbon footprints, even while supporting and subsidizing biofuels that produce more pollution and CO2 than existing fossil fuels. Thanks, John! I appreciate your points on biofuels. I would have loved to hammer that more in this piece but 900 words brought the curtain down. If we don’t support farms, we will have food lines just like Venezuela does right now. I don’t know a single farmer that wouldn’t rather be able to sell their crop for a profitable price and never have to take a penny from the government. Right now the price of practically every grain that is raised in this country is below the cost of production. The prices are manipulated by fraudulent USDA reports, hedge funds etc. these are all out of the control of a farmer. We cant have it both ways. Food production will have be paid for one way or the other. It’s seems that a lot of people don’t realize where this food comes from. The last time corn was at a profitable price level (2012) the public was screaming bloody murder. Farmers lost a ton of money last year. They will again this year as well. There will lots of farm sales this year. Another worthless report written by someone that knows nothing about farming or the current state of the farm economy. I hope you all starve when the government breaks all the farmers and think they can take over food production. James, perhaps you might step into the shoes of an average family farmer who cannot make a living from farming. The costs of equipment, maintenance, seed, fuel, labor, rents, taxes, and regulations are quite often no match for the meager price obtained when the crop is harvested (unless drought or hail prevent a harvest). When so many other countries subsidize their farmers and U.S. farmers receive poor subsidies as the present farm program offers, you will see why few young people go into farming. (Google farm subsidies in France, Argentina, and other countries that grow wheat)… You might wish to reexamine the reality, James, before you pontificate on this subject. My response: Some farmers are struggling but farmers on average have a vastly higher net worth than other Americans. Farm subsidies have routinely driven up crop cost of production – a point which I did not have space for today. I have been following farm policy since the early 1980s and it has never gotten any smarter. Using the net worth argument is wrong. Land values are not tied to crop value due to speculation. A farmer would seem to be land poor, since if they sold they would keep about half the sales value due to taxes. Then they would be equal to the “other Americans” I guess. Mr. Bovard says he has monitored the farm situation for years, but seems to want to give up on government policy and go back to the brutal farm situation before the turn of the 20th century. Sorry for your frustration, but how did those times without agriculture policy work out? 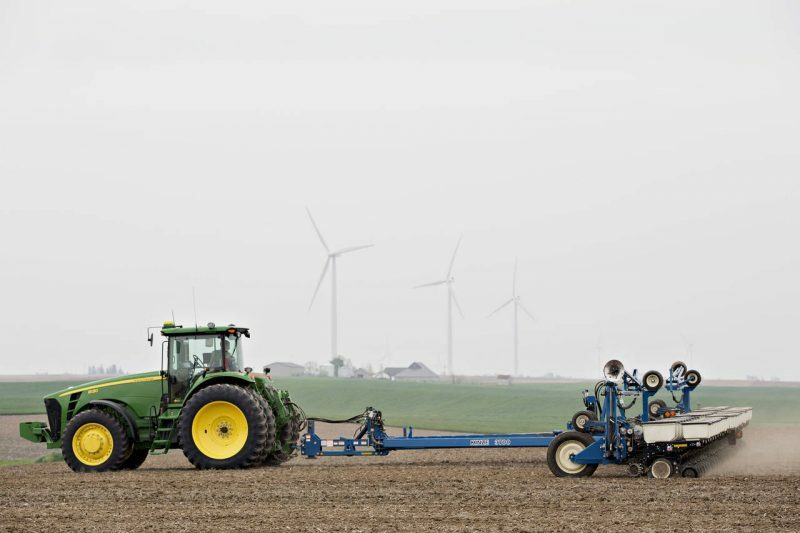 Federal policies have often caused booms and busts in farmland values. Subsidies are capitalized in land values and changes in federal policy can leave farmers in a dicey place. As far as the “brutal farm situation” before subsidies – -USDA chose the period 1910-1914 as the basis for parity calculations because those were some of the most prosperous years in history for US farmers. There was comparatively little govt. intervention prior to World War One. Maybe if we just exclude subsidies to anyone but single farming families, no corporations….hmmmm…. And I include single family corporations in that “no corporations.” You’re big business enough to incorporate, you’re big enough to do without subsidies. Would not work. Lawyers would swoop in & help people evade the limits – like they do now with the alleged payment limits. Does anyone here including the author of the article understand the rules of being an active farmer under fsa rules to receive a payment? It sure doesn’t seem like that is the case. If commodity prices had not tanked to 10-12 year lows the ARC and PLC payments would be zip. Jim you fail to shed the light on the reason why the payments are higher over the last two years. Also payments going forward will be virtually non-existent because prices have virtually no more room to go lower. I’m guessing you have no idea how to calculate the ARC or PLC designations either. Corn price has virtually no effect on cattle prices either fyi. DDG’s are a bi product of ethanol and are protein rich fed to cattle. Etanol and cattle dont compete with corn bushels. The corn makes it their either way. Fuel prices are the leading price manipulater of beef prices. Also the U.S. cattle heard is the smallest it has been in 40 years. This was a biased article full of half truths and misleading info. Purposely left details out that would change the idea of the article. There is wrongful spending in ag supsidies and farm/conservation programs. You just failed to even get close to where the real problrms are. Jim stop reading headlines and start doing research. Lazy article. With a line like that, you could be a policymaker for the House Agriculture Committee. Farm state congressmen are notorious for understanding future expenditures. Congressional Budget Office is forecasting high farm program outlays for many years to come. Darned lawyers. They’d mess up a soup sandwich if you’d let ’em. How could a family farm operate without incorporating their business? When the 16 year old kid driving the tractor home while texting hits a driver and kills them. The lawsuit would break the farm. I have personally seen this happen to others. We have a family farm and incorporated for liability reasons. The same way they did 100 years ago?